DISCLOSURE: Freda's Voice is a Romwe affiliate, therefore store credit is received for posting. It is time to start a new sale my dear friends! 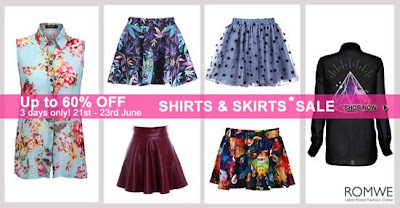 About 200+ styles of shirts and skirts, up to 60% off! Good news, right? !